The picture is taken just after the south tower collapsed. 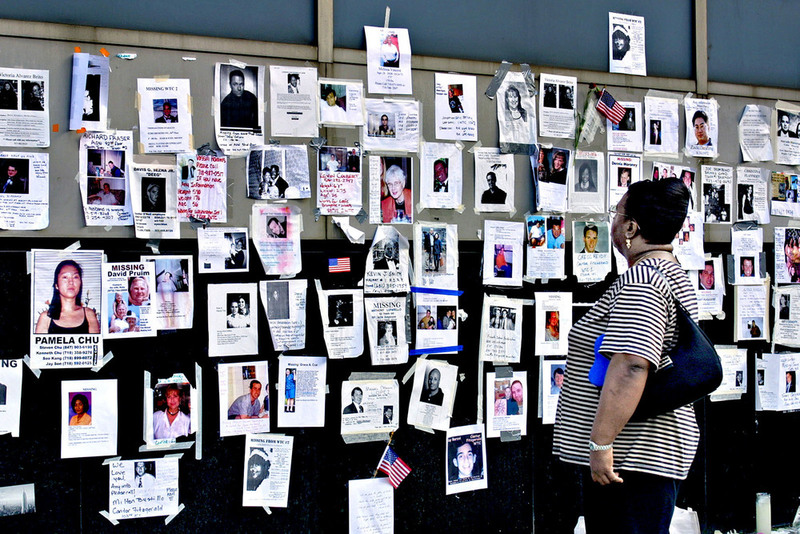 These notes of missing people could be seen all over Manhattan after 9/11. Marine Corps Base in Quantico, Virginia. They are preparing to be sent to the War in Afghanistan. North Carolina: He is a Marine and is getting married with his girlfriend just before going to the war in Iraq. 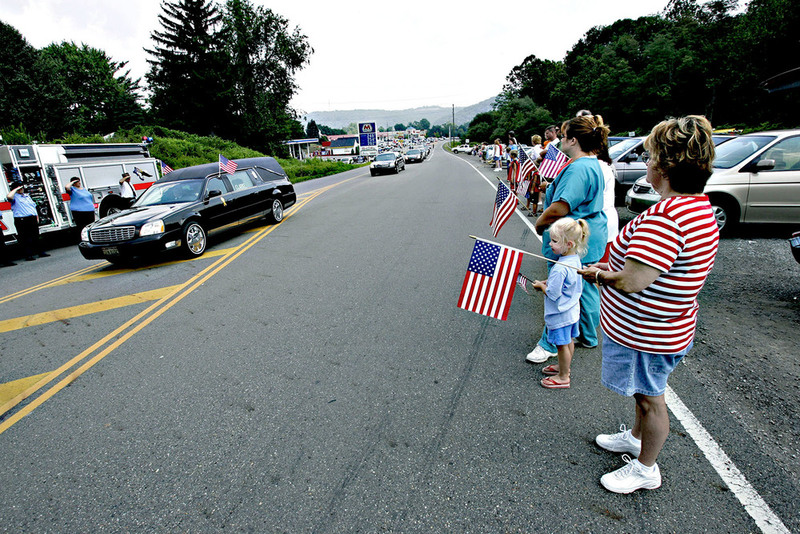 A sergeant that is going to Afghanistan is taking farewell of his kids at Fort Drum, New York. A war protest in Santa Barbara: A cross for every American soldiers that has died in Iraq and Afghanistan. August 9, 2005. Nathan Rock is buried in his hometown in Ohio. He was one of 20 Marines killed on the same day in Iraq. Amy is visiting her husband Steve's grave at Arlington National Cemetery. Their daughter Zoe is with her. He died in Afghanistan in 2008. Prisoners at Guantanamo Bay are having a drawing class. Kennebunkport, Maine. June 2007: Protesters against the wars and Guantanamo Bay. A makeshift Mosque located in a former clothing store. There are plans to build an Islamic Culture Center there but it has been massive protests against it because the proximity to the World Trade Center site. 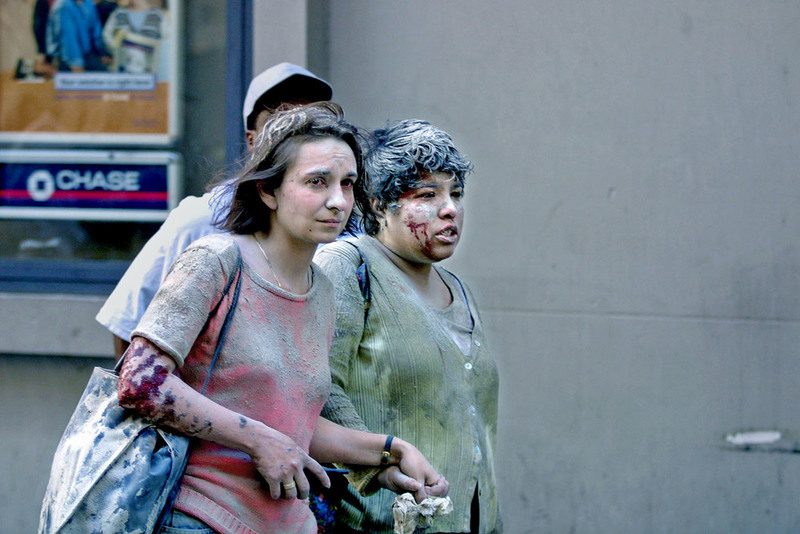 A sad ten year anniversary: Ground Zero. September 11, 2011.